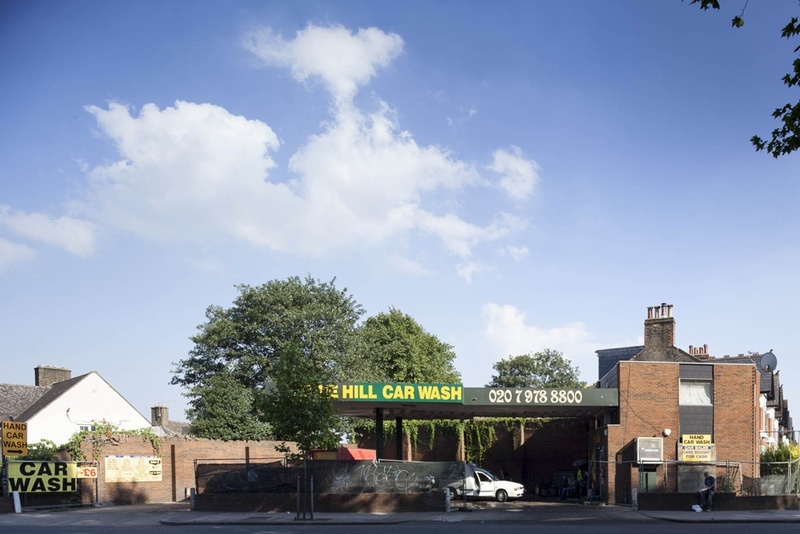 The Hand Car Wash is a street-level incarnation of the ‘meanwhile’ use of vacant urban sites. 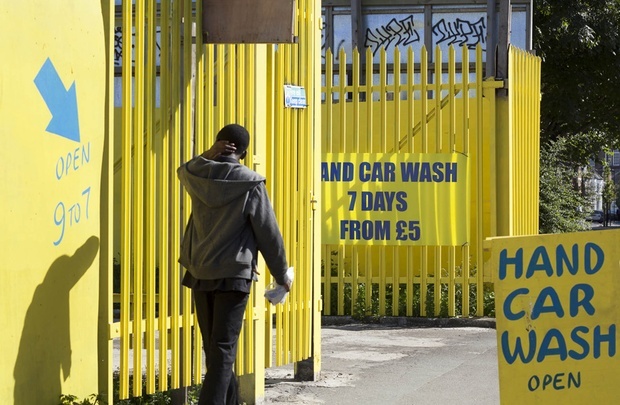 Operating at the very margins of legality within the cash economy, these sites use manual labour to replace a process which was once automated. 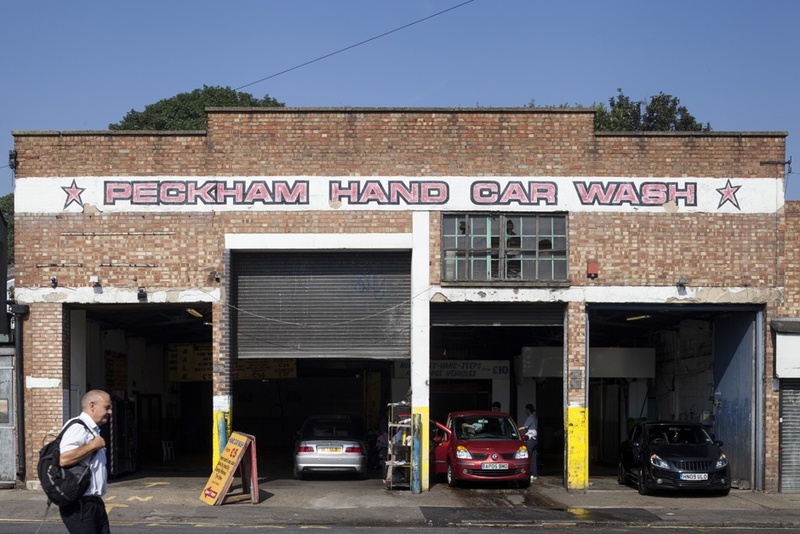 We documented 18 different Hand Car Wash sites in South London in 2013, using a combination of drawing and photography. 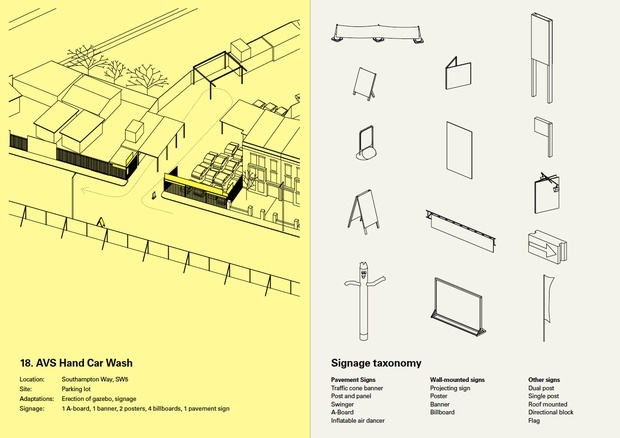 The drawings explore a highly effective ‘minimum architecture’ which is used to advertise and provide a service with the bare minimum of resources. 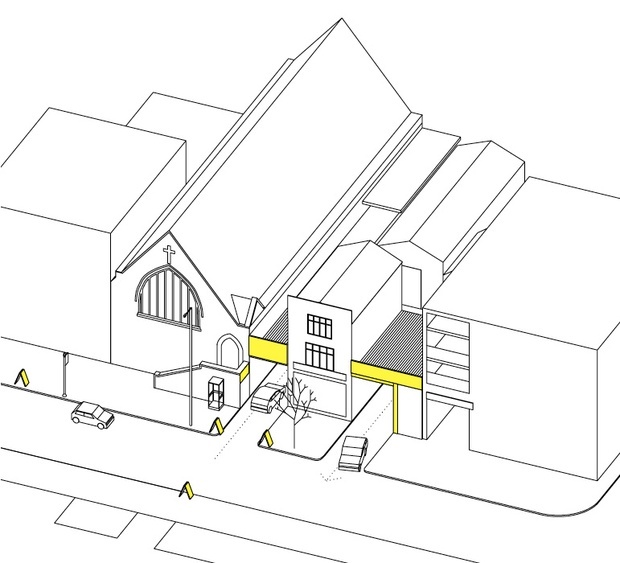 The architectural adaptation required to transform a vacant site is strictly functional, often limited to the erection of a roof covering. 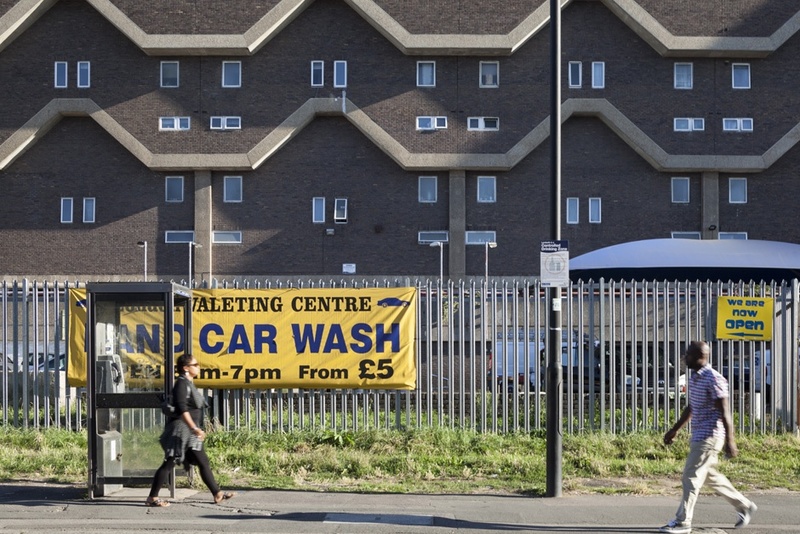 A large number of different signs are used to advertise the service, using variations of an accepted design language of bold text and yellow backgrounds. The relative consistency of approach highlights the great variety of sites being used for this purpose. 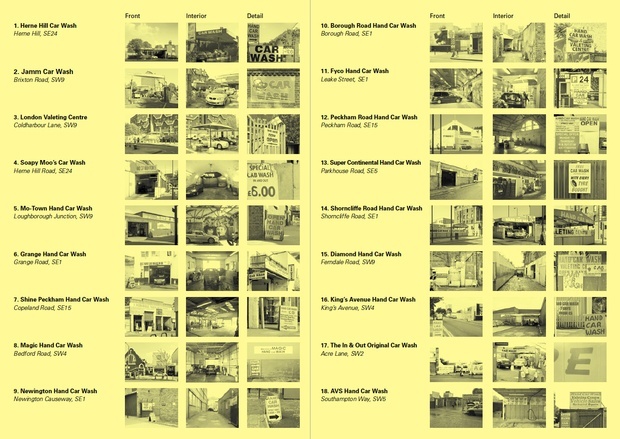 These include former petrol stations and industrial sites, railway arches, and the forecourts of pubs and housing blocks. 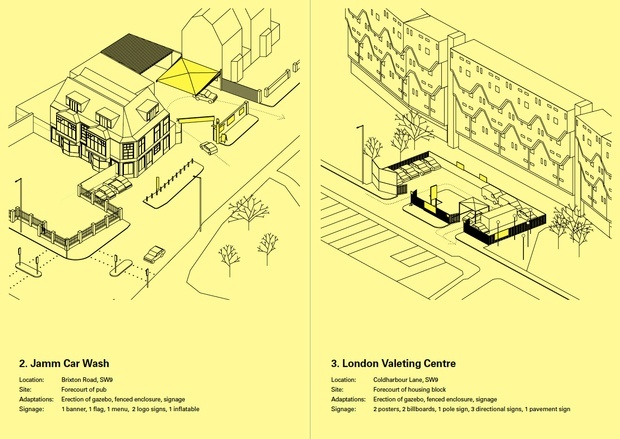 The research was exhibited as a work in progress at UCL's Cities Methodologies exhibition 2014.